EBCO from time to time use their buying power to purchase quantities of e-bikes when they become available. This then enables us to offer to you, the consumer bikes at advantageous retail prices which represent excellent value for money. 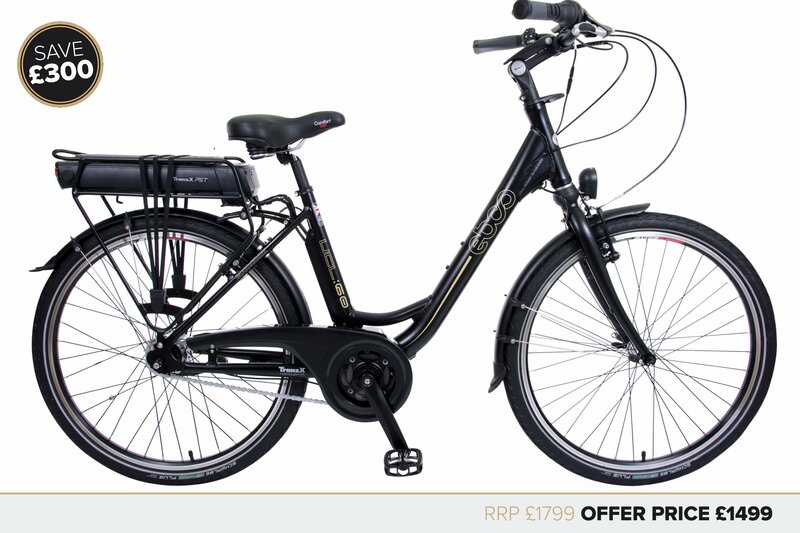 All EBCO Special Offer e-bikes are covered by our guarantee and are fully supported by our technical service department. Special offer models change according to availability please check with your EBCO dealer. Grab them while they are there! The UCR-60 features the intelligent M25 middle motor with CanBus/Logix computer diagnostics from TranzX (for more efficient and accurate servicing through your EBCO Service dealer) By integrating the motor into the bottom bracket and connecting directly to the chain ring and adding a ride sensitive torque sensor the acceleration, efficiency and performance are increased. The M25 motor is matched to high level finishing kit including the smooth changing Shimano Nexus hub gear system and a 400wh lithium ion battery giving the UCR-60 a range of 30-45 miles and produces a comfortable and intelligent riding experience. 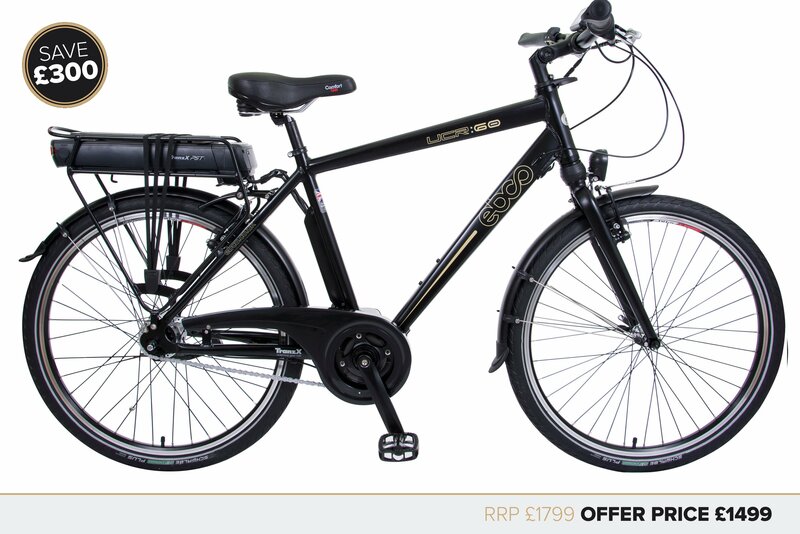 Available in a traditional Roadster frame style with a comfortable upright riding position.